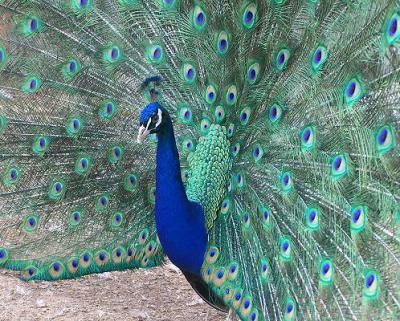 Since India Blue Barred Wing pattern is the most common, Barred Wing is not mentioned in the name, only Black Shoulder when it applies. 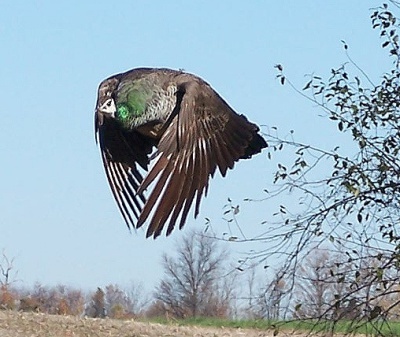 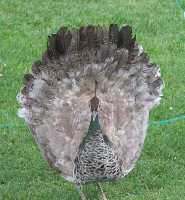 Spalding is a hybrid meaning the bird carries some percentage of Pavo Muticus - phenotypes range greatly in hybrids. 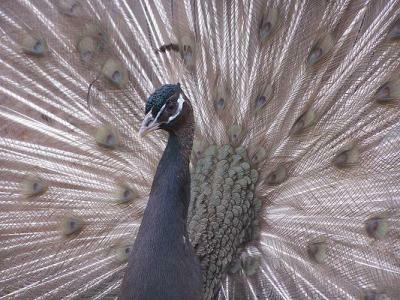 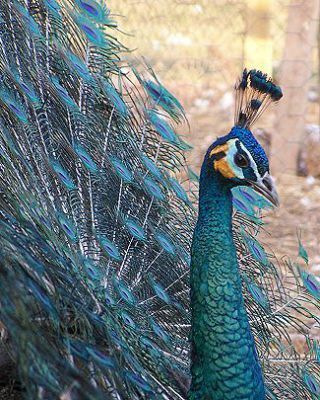 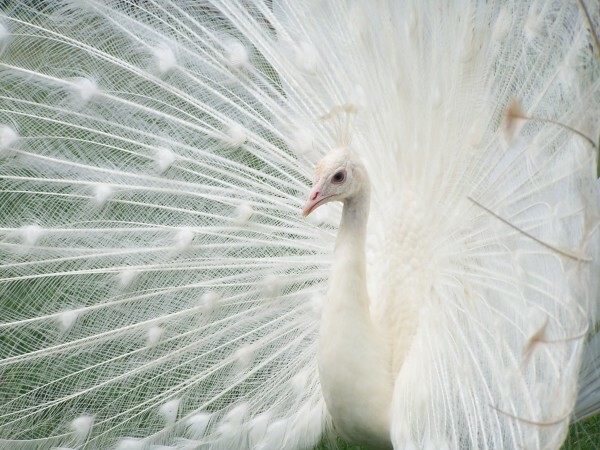 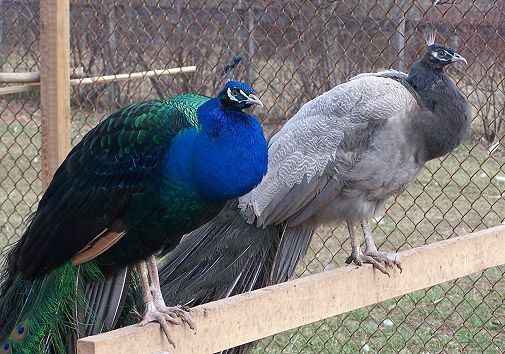 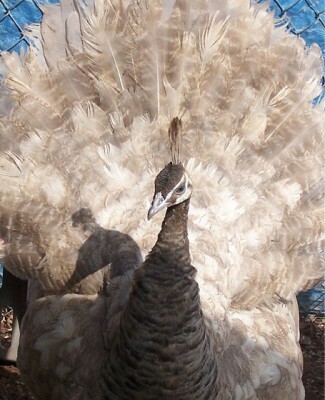 Peafowl breeding season is very short.